Officials with the National Treasury Employees Union said Tuesday that two agencies have begun efforts to implement President Trump’s recent workforce executive orders governing union use of agency property. Last week, the Office of Personnel Management issued guidance on policy changes in light of the Trump administration’s efforts to make it easier to fire federal workers, streamline the collective bargaining negotiation process, and curb union employees’ use of official time. While OPM Director Jeff Pon said the executive orders, which are subject to multiple legal challenges, do not “abrogate” existing bargaining agreements, he insisted that agencies move to change them at the “earliest date permitted by law,” and to change policies unilaterally once an agreement expires. 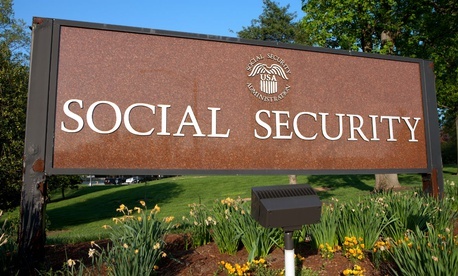 NTEU National President Tony Reardon said that last week, the Social Security Administration’s Office of Hearing Operations informed the union that it plans to strip it of rent-free office space unilaterally. NTEU represents around 1,700 employees at the office. The OHO-NTEU collective bargaining agreement had expired, but labor and management had already established ground rules for negotiations of a new contract. Reardon said the union plans to argue against this action as part of the lawsuit it has filed along with 14 other federal sector unions against the Trump administration. The suit argues the executive orders conflict with the 1978 Civil Service Reform Act and exceed Trump’s authority as president. At the Health and Human Services Department, officials have proposed via bargaining that NTEU begin paying rent for office space on agency property. Reardon said that the union will fight the proposal through the standard negotiation procedures with management. Although these actions are among the first management efforts to implement the Trump administration’s workforce executive orders since OPM released its guidance, other departments already have taken action to curb union activity. The Housing and Urban Development Department plans to evict the American Federation of Government Employees from its offices this month, despite the fact that officials recently began ground-rule negotiations for a new collective bargaining agreement. Reardon said the effort to remove unions from agency premises is foolhardy, as union activity improves efficiency and has a positive effect on the federal workplace.